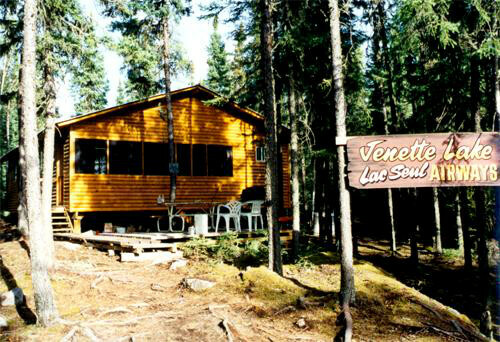 Jeanette Lake is one of our most trustworthy outpost lakes. 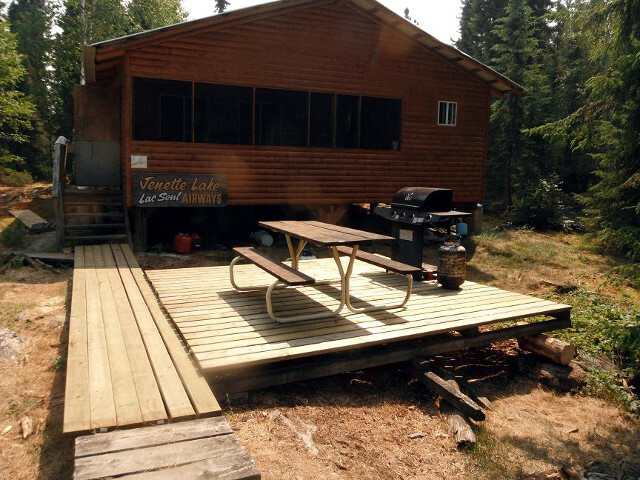 This picturesque cabin is surrounded by Canada’s unspoiled boreal forest and is located 70 miles east of our base in Red Lake, Ontario. 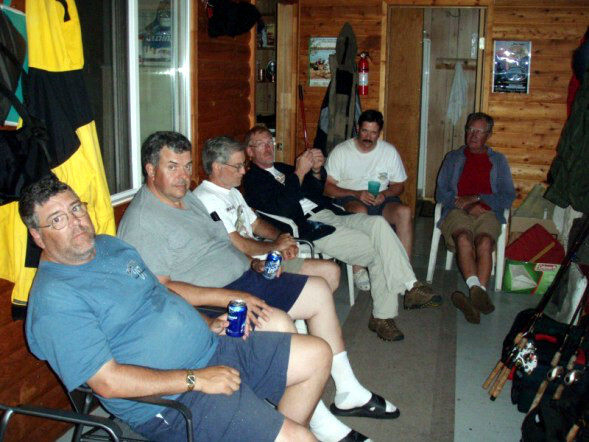 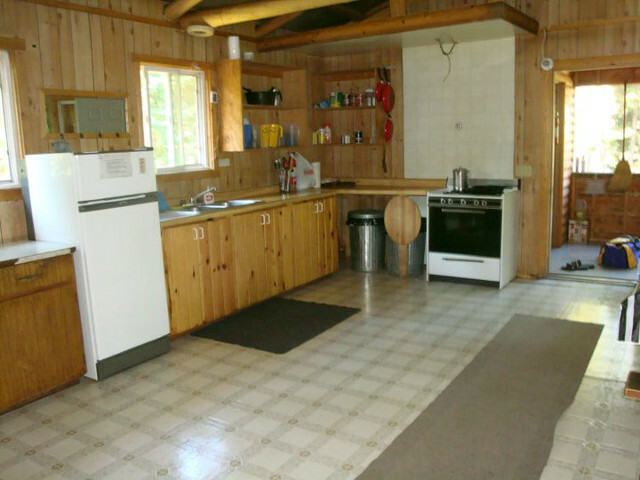 The 12-man cabin is very spacious and is situated in a well-protected bay near the outlet rapids that flow into Sesikanaga Lake. 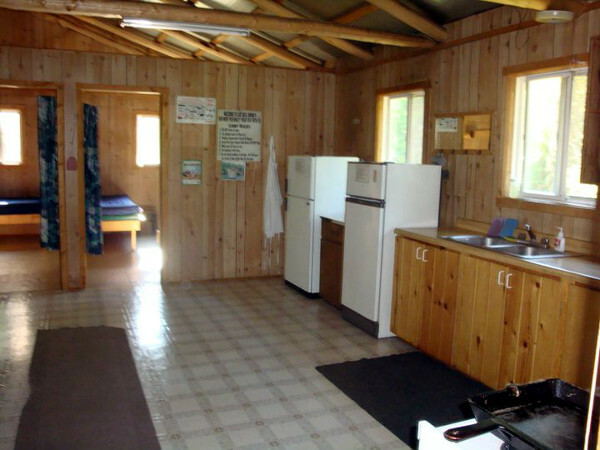 You will be accommodated in a roomy 3-bedroom cabin. 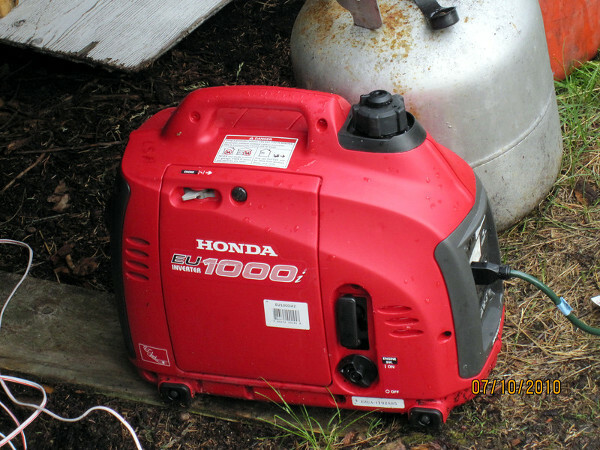 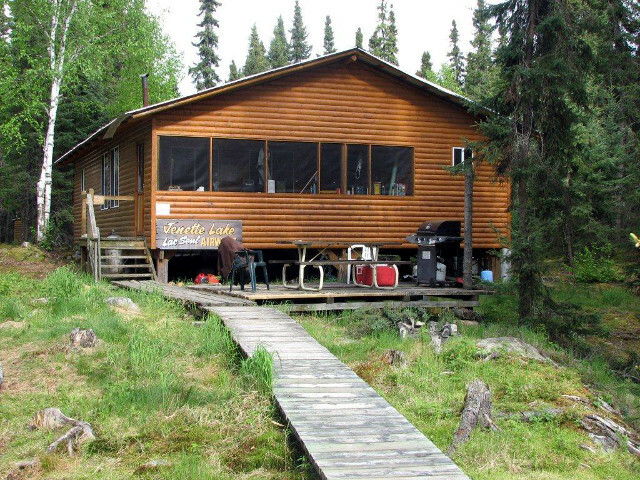 Jeanette Lake outpost boasts 2 propane refrigerators, a chest freezer, a propane stove with oven, hot shower and solar powered lights and water pump. 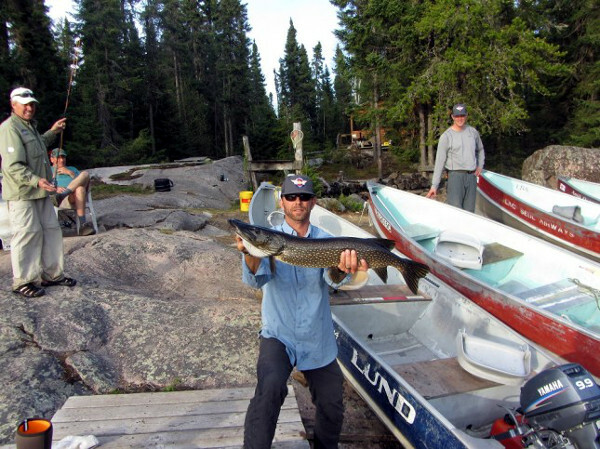 We have reliable 9.9 Yamaha outboards, unlimited gas and 14” Naden and Lund boats outfitted with sturdy swivel seats to transport you around the lake. 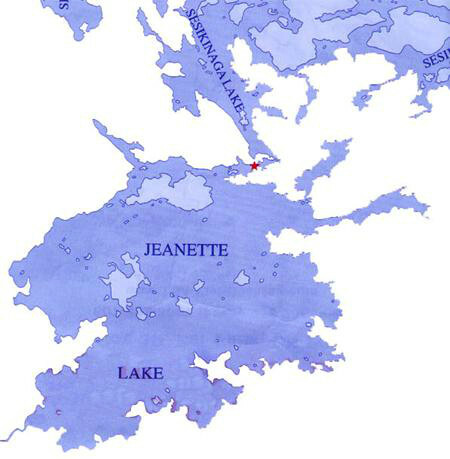 Jeanette Lake is another tea colored lake. 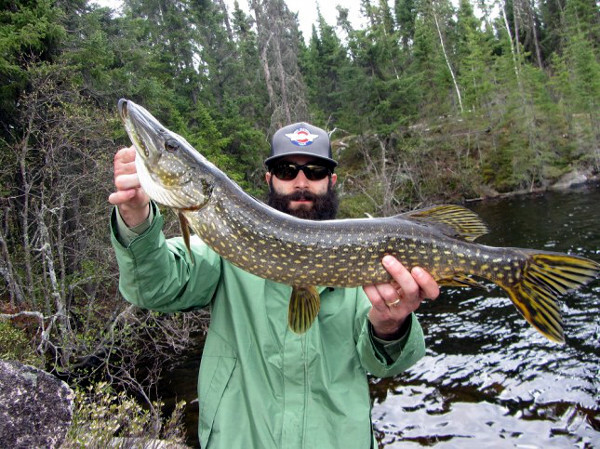 This translates into fish biting all day long! 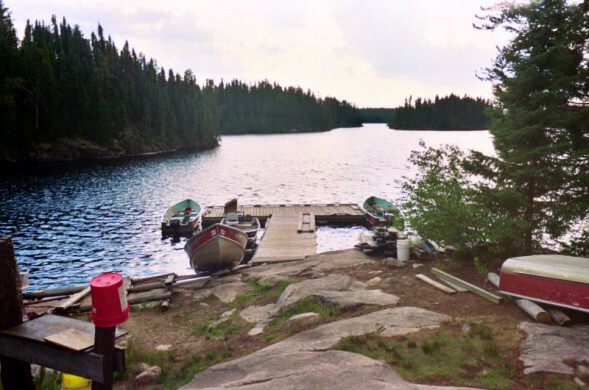 The slightly stained color comes from the nutrients in all the rock surrounding the lakes in the Canadian Shield. 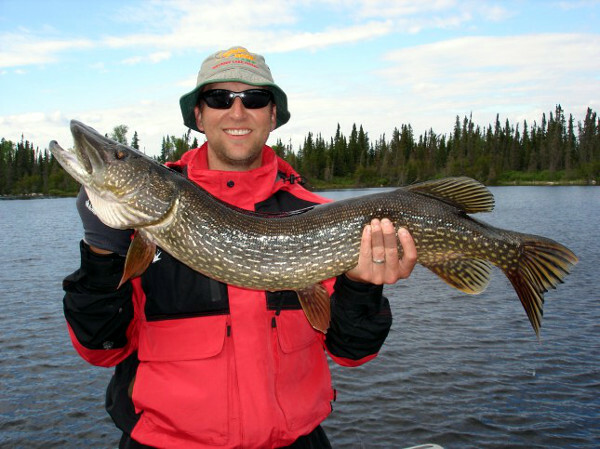 It also helps to stop the sun from penetrating the water so the fish can generally be caught in 10 – 20 feet of water all summer long. 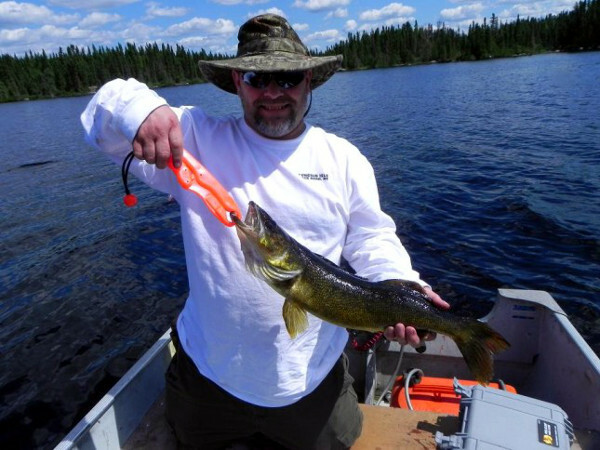 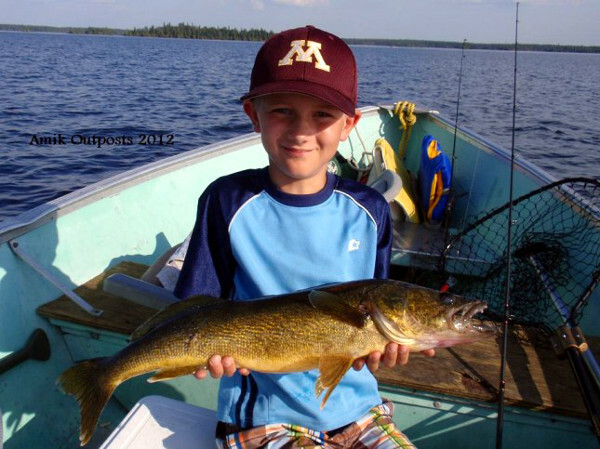 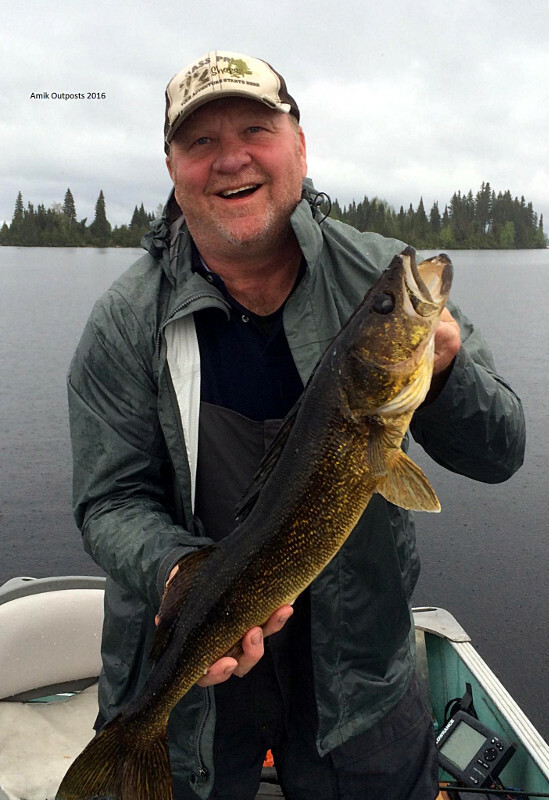 Be sure to bring a depth finder with you on your trip as there are many localities where there are under water reefs to target those plentiful Walleye. 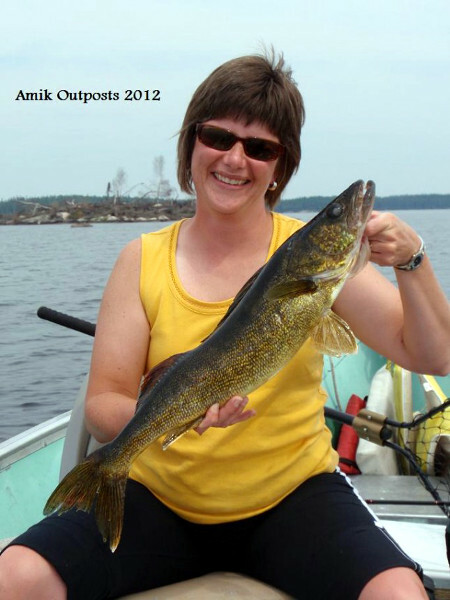 Jeanette holds enough action to keep you occupied during your stay with us. 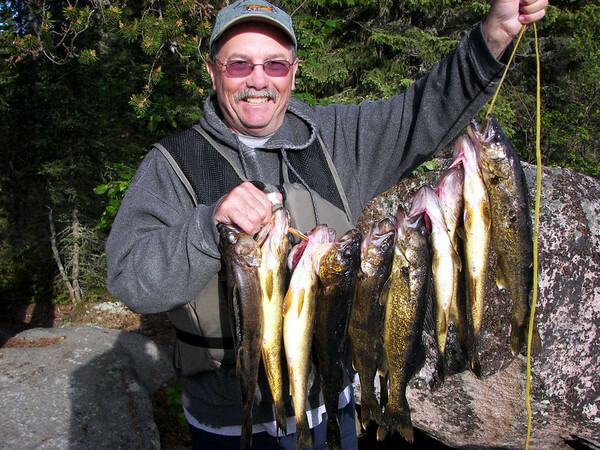 With easy walleye fishing in fairly shallow water there is no end to the number of fish you can catch in a day. 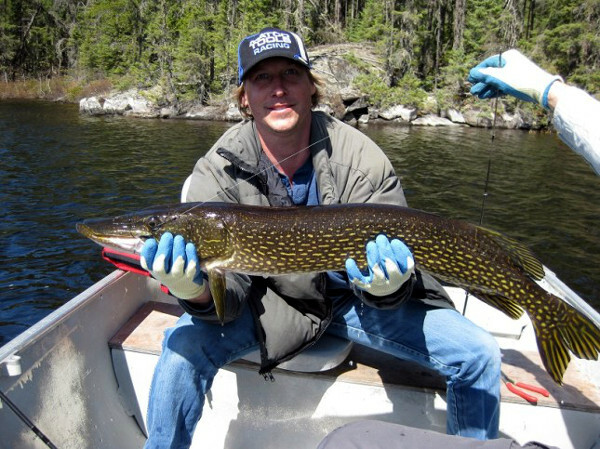 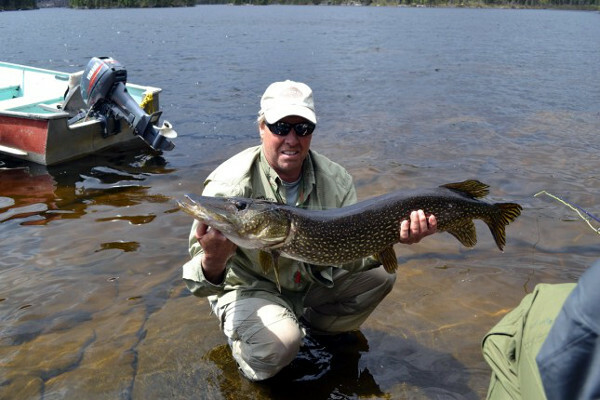 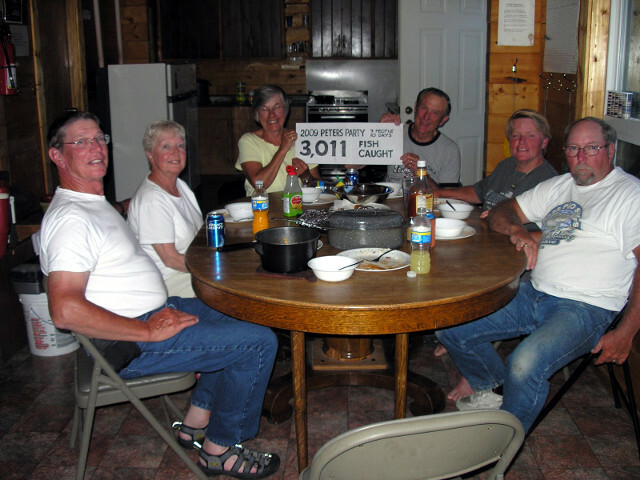 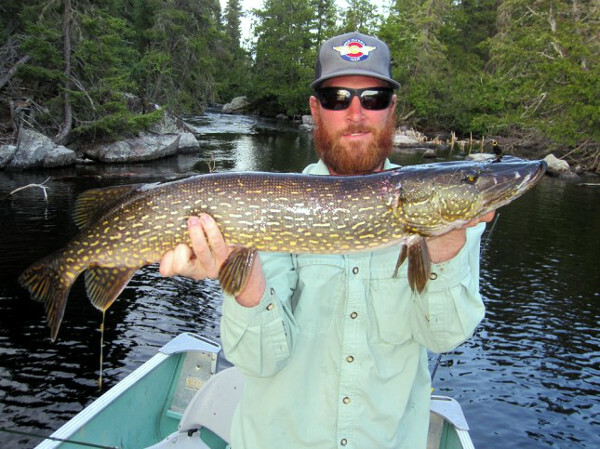 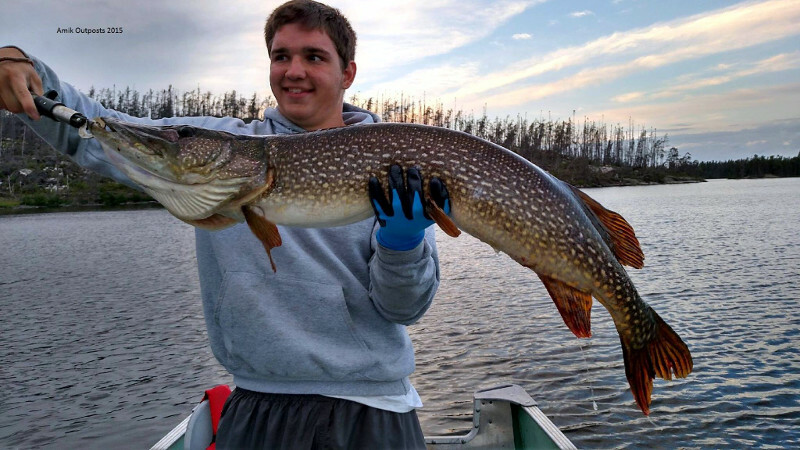 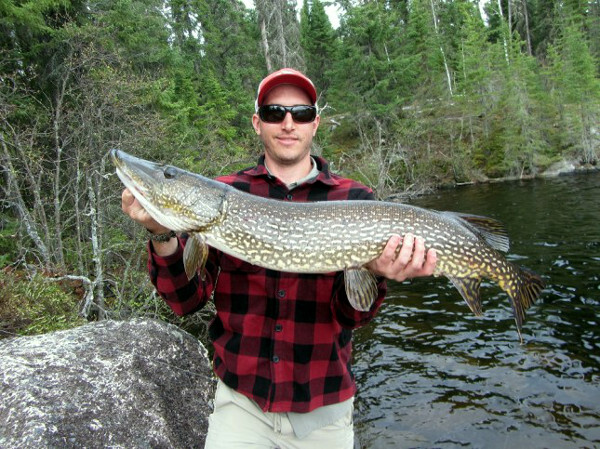 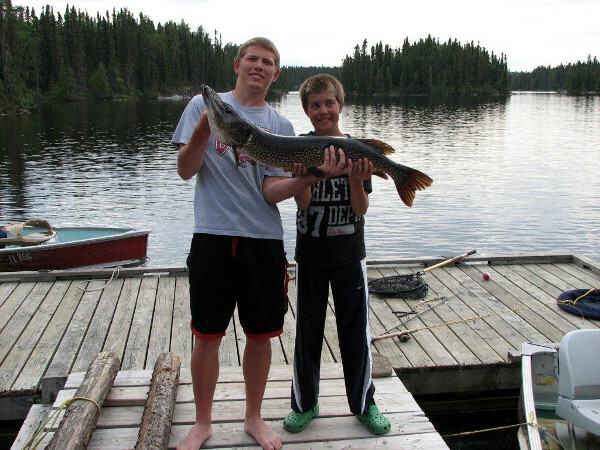 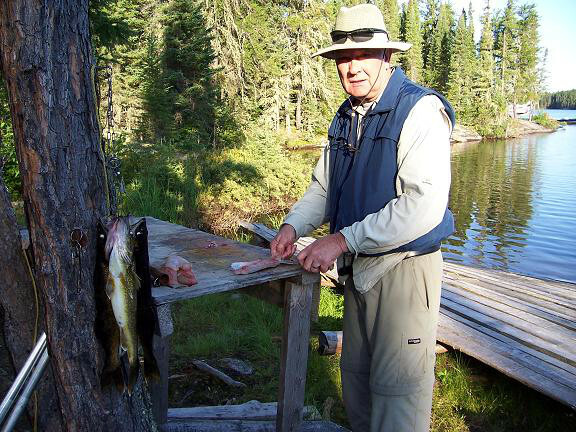 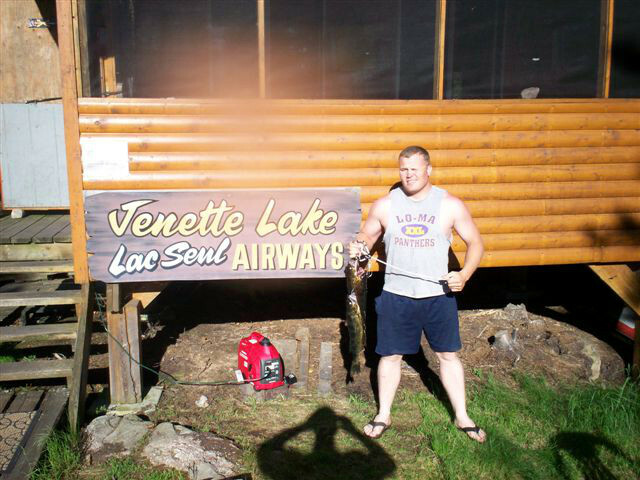 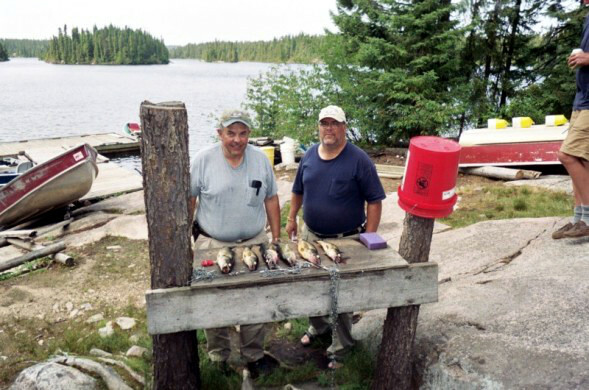 If outstanding Northern Pike are more your style, Jeanette hosts many weedy bays and channels for you to fish. 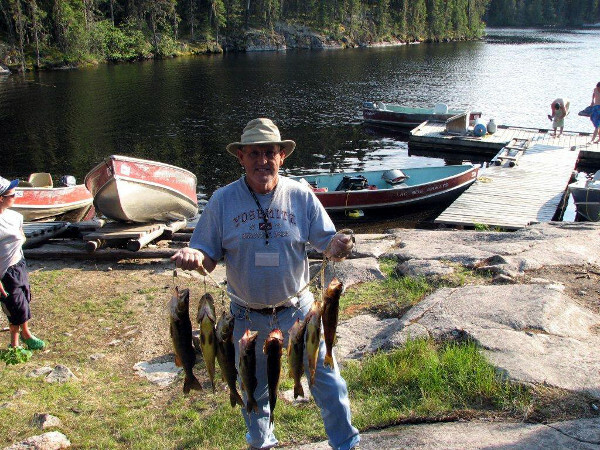 You certainly do not have to go far to catch the “Big One” as its been done plenty of times, right off the dock and also in the feed rich bay in front of the cabin. 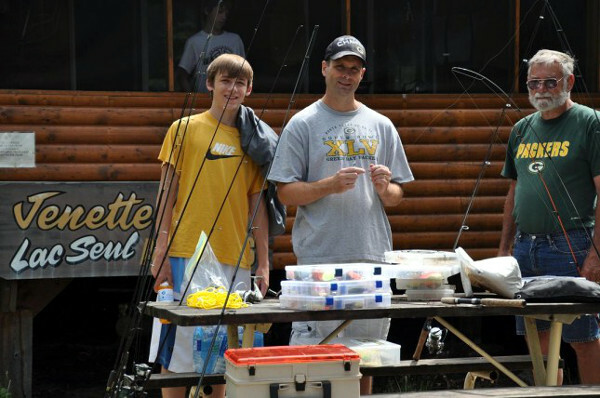 It’s a well-loved spot for the many kids who come to Jeanette and fish while their Dads are fixing dinner. 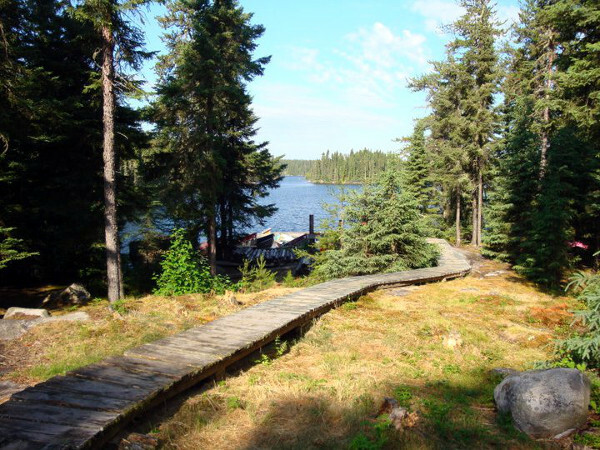 There is a short portage right from the cabin over to Sesikanaga for the adventurous in the party that would like a change of pace during their 7-day wilderness adventure. 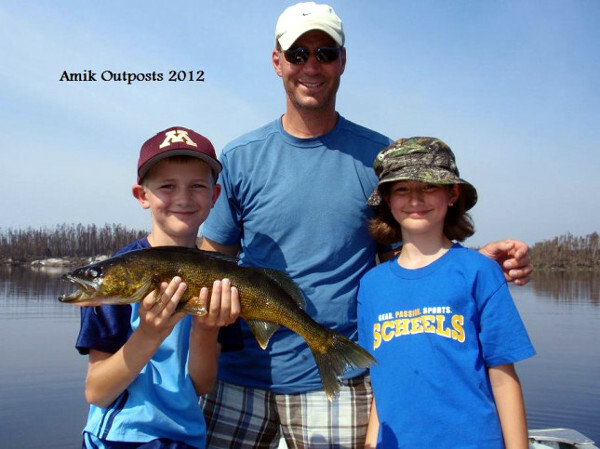 We fished this lake July of 2017 with 3 adults and 3 kids. 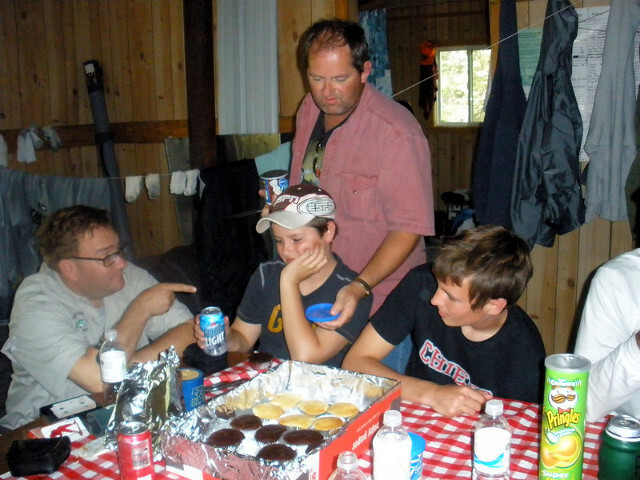 Oldest kid was 14 at the time and they have not stopped asking us to go back. 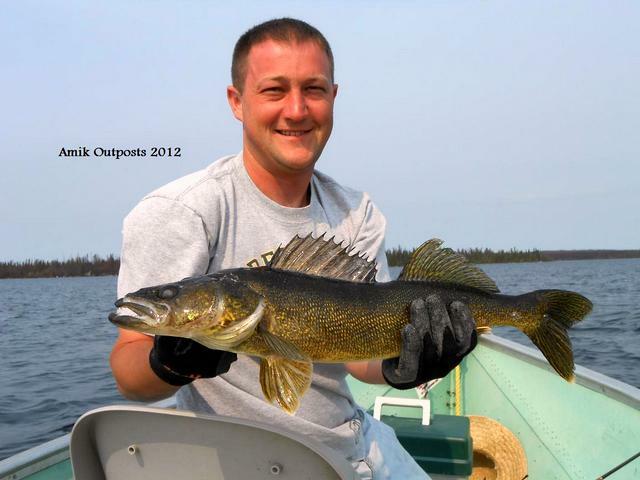 We caught over 600 walleye in 4.5 days of fishing and easily another 100 pike. 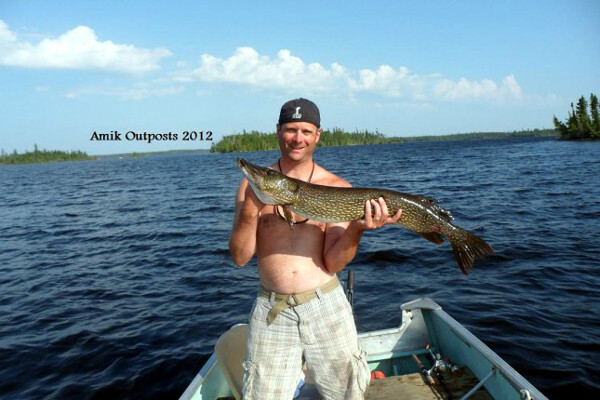 Two pike over 40″ too. 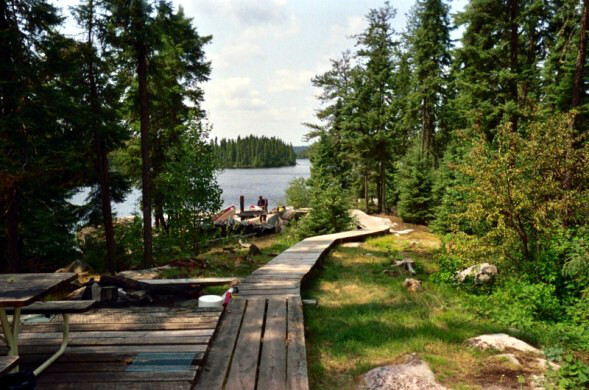 You cannot find a nicer place to go with kids. 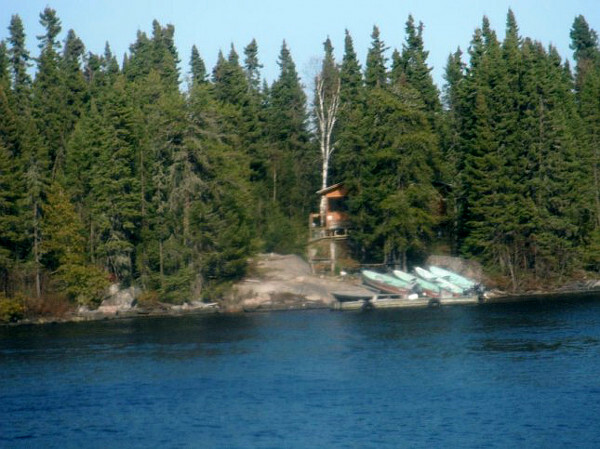 The cabin is great and the boats are perfect for what you are doing. 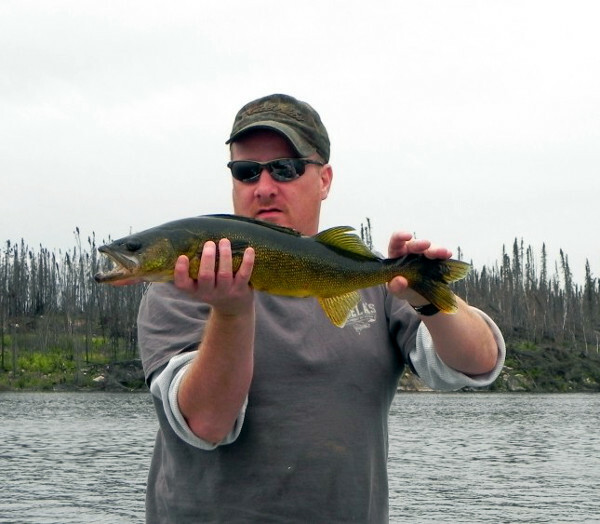 Fishing was easy, especially for 3 adults who don’t fish for walleye at all. 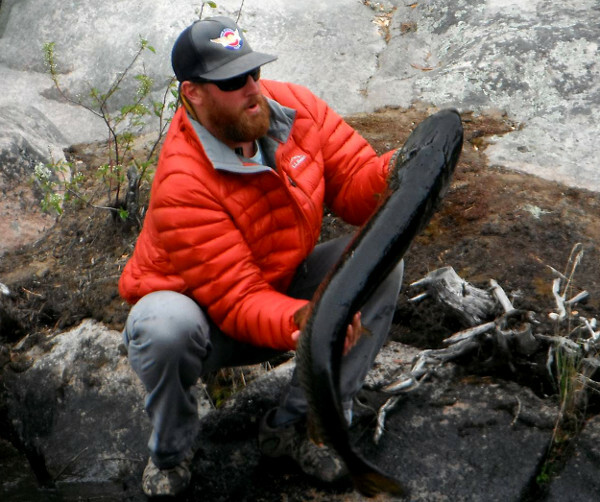 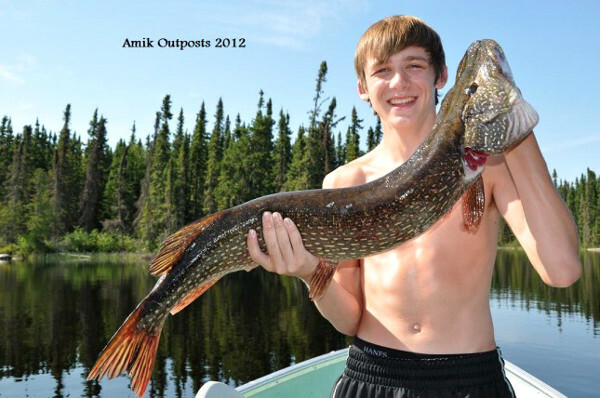 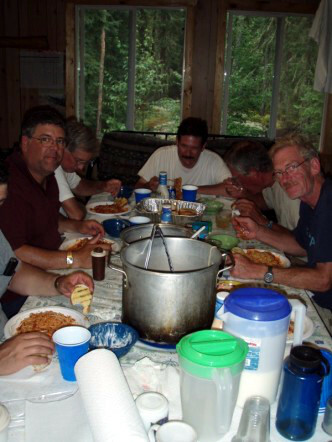 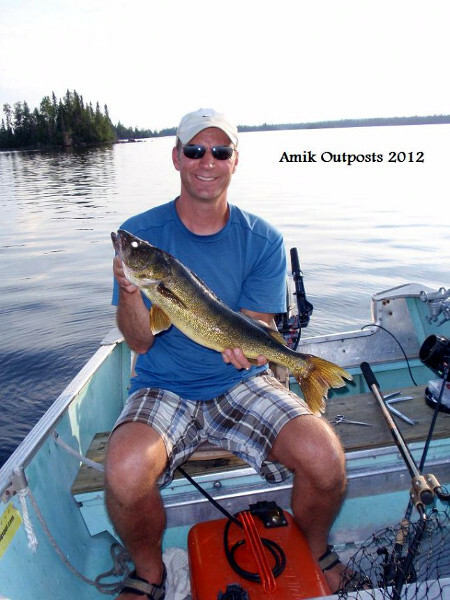 If you’re looking for a great company to take you on an outpost fishing trip, look no further than Amik Outposts.